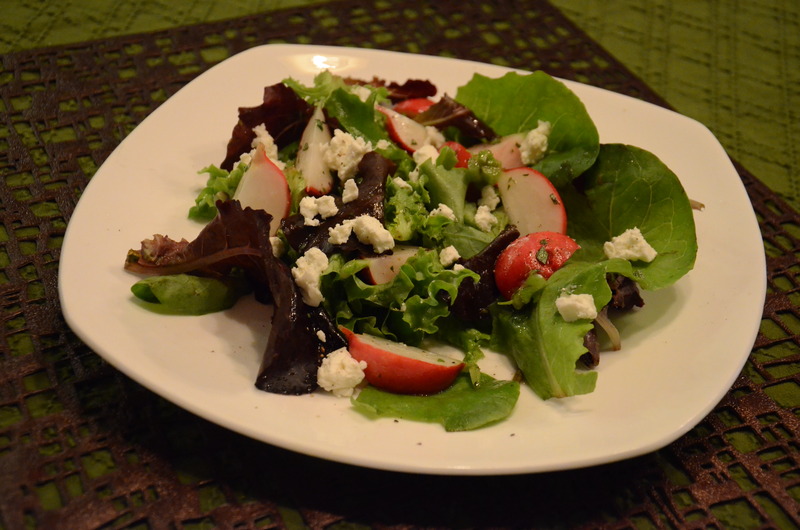 This entry was posted in Salad, Uncategorized and tagged goat cheese, oregano, radish, salad. Bookmark the permalink. 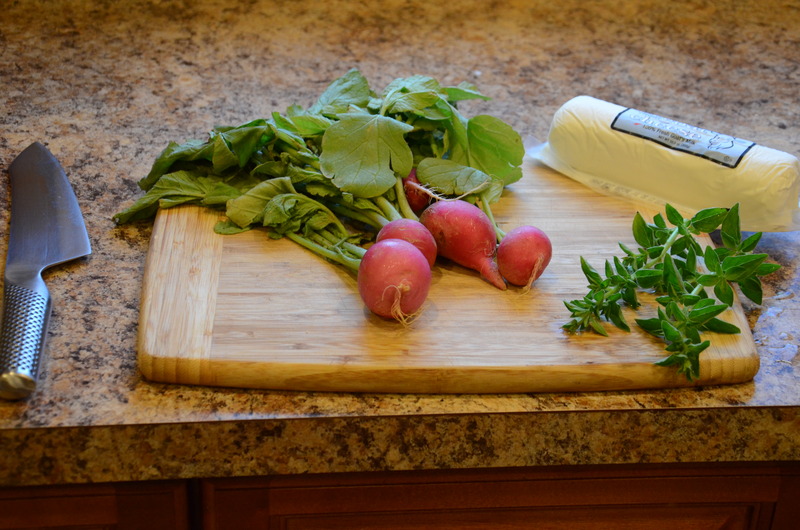 Have you tried just radishes with (good) butter and a little salt? It’s not the healthiest, but very French, and very delicious! The fat and the spice complement each other nicely! I haven’t tried that! Thanks for the suggestion. Sounds like a good excuse to snag some good butter, or to try making it from scratch 🙂 It reminds me of when you were visiting recently and I threw together some cucumber and cream cheese sandwiches with a little sea salt.